Warmer weather is here and with its arrival comes fun times and vacations for many of us. Even though a stay at the beach or a cross-country road trip should be exciting and care-free, it’s important to always make your oral hygiene a priority, especially when you have braces. In case of an emergency, it’s always a good idea to research area orthodontists. That way, if you experience a broken bracket or wire, you don’t have to wait days or weeks to see your regular orthodontist. Keeping up your oral hygiene while on vacation can be tricky, especially when your days are packed with fun activities that take your mind elsewhere. We recommend packing a travel bag with convenient-sized products like orthodontic wax, toothpaste, mouthwash, and dental floss. This will make it easier for you to stay on track with your regular routine while away from home. One of the most exciting parts of going on vacation is getting to try interesting foods you wouldn’t normally eat, right? Have fun experimenting, but also keep in mind there are certain types of foods you should avoid while wearing braces, even when you’re on vacation. Try to steer clear of hard and chewy foods, plus foods that are abundantly sugary, or you risk wreaking havoc on your braces and your healthy teeth. For more tips on traveling with braces, contact our Kansas City orthodontist. You can also follow our blog to stay updated on industry news, developments, and professional advice. To learn more about our orthodontic treatments or to schedule a consultation, call us today – we can’t wait to meet you! The information provided in this article is not meant to be medical advice and is for educational purposes only. 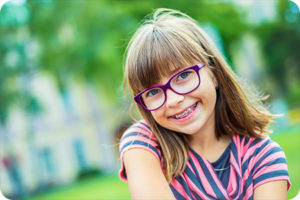 If you would like to learn more about braces, Invisalign, or other orthodontia-related topics from our Kansas City orthodontist, feel free to contact Burleson Orthodontics by calling 816.759.0123.